Her practice is mainly focused on civil, commercial and environmental litigation and arbitration before ordinary and special courts. Teaching Assistant of Civil Law, Universidad Diego Portales (since 2018). Academic internship, Linkage Program, Yale Law School (USA) (2017). Internship Summer Program, Carey (2016). Teaching Assistant of Torts, Universidad de Chile (2016). Teaching Assistant of Civil Law, Universidad de Chile (2015-2017). 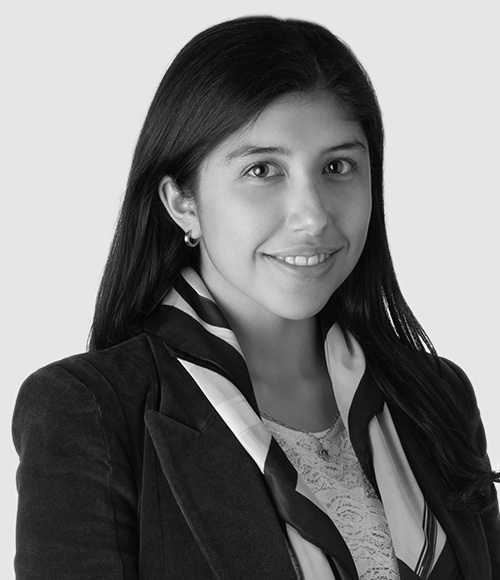 Coordinator, IV Student Congress on Civil Law, Universidad de Chile (2015). Member of the Organizing Committee, Civil Law Seminar “The Difference between Contracts and Fiduciary Relations”, Universidad de Chile (2014). Member of the Organizing Committee, III Student Congress on Civil Law, Universidad de Chile (2013).